Dr. Nelson is a dedicated instructional leader who oversaw the dramatic improvement in academic performance and high stakes test scores in the Chula Vista Elementary School District in California through the implementation of a student centered instructional framework and the development of instructional leadership teams. He has extensive experience in systems change both at the site and district level. His expertise in leadership coaching of site and district leaders has resulted in improved skills and impact in many districts. 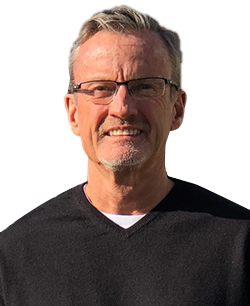 With nearly four decades of experience in education Dr. Nelson has worked as a classroom teacher, ADULT ESL instructor, school principal, executive director for instruction and assessment, and assistant superintendent for instructional services in the largest K-6 district in California. Additionally, he has serves as a lecturer at San Diego State University and consultant for a technology company focusing on literacy development.